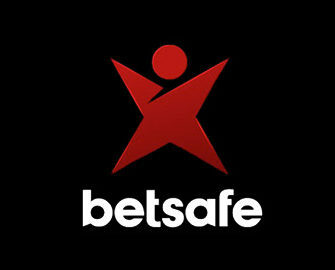 Betsafe – Daily Casino Boost! Enjoy Bonuses, Free Spins, Big Spins and much more, every day of the week! Good news! Betsafe just launched their own version of Daily Casino Boosts where players can look forward to generous offers for Free/BIG Spins on deposit or for wagering on selected games, cashback bonuses on net losses, Blackjack tournaments, mobile rewards, lunch break races and much more. Start this Sunday with up to a 25% cashback bonus on net losses when playing any slot in the casino. 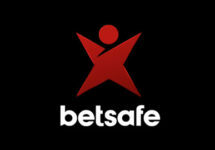 Players at Betsafe can look forward to new campaign with daily rewards and bonuses. Betsafe’s Daily Casino Boost schedule is filled with a range of daily offers that are available mostly for one day only, each running from 00:01 – 23:59 CET. Claim this week the following daily treats, available on desktop or mobile, subject to the Betsafe bonus terms and conditions. A daily OPT-IN on the promotion page is imperative to be eligible for any of the offers. Sunday, 07th January 2018: Braveheart Bonus Day – Deposit minimum €20 and play on any slot to receive a 25% cashback bonus on net losses, up to €100 credited by 17:00 CET on Monday. Wagering requirement is 10x bonus amount within seven days. Monday, 8th January 2018: Free Spins Galore – Play on Prosperity Palace between Monday and Sunday to receive up to 350 Free and BIG Spins. Wager a total of €25 | €150 | €400 | €775 | €1,375 | €2,175 on the game to instantly receive 25 FS | 50 FS | 100 FS | 25 BIG Spins | 50 BIG Spins | 100 BIG Spins. Free Spins are valued at €0.20 and BIG Spins at €1.00. Each reward is instantly credited on the game of the week the soon the required wagering is fulfilled. Winnings from the spins need to be wagered 35x within three days. Tuesday, 9th January 2018: It’s Tournament Time – Score the highest win over 20 consecutive rounds at minimum €1.00 on any non-live Blackjack table game between Tuesday and Thursday and race into the TOP10 to win bonus prizes ranging from €25 – €550 , credited by 17:00 CET on Friday with a 10x wagering requirement within seven days. Wednesday, 10th January 2018: Glorious Happy Hour – Get a 25% bonus from your mobile or desktop on your available balance or a new deposit of minimum €20, up to €100. Claim the bonus between 18:00 – 21:00 CET under the “Available Bonuses” tab. Wagering requirement is 35x bonus within seven days. Thursday, 11th January 2018: Throwback Thursdays – Wager minimum €50 on Rainbow Riches to instantly receive a €15 bonus. Wagering requirement is 35x bonus winnings within seven days. Friday, 12th January 2018: Lunchtime Power Hour – Score the highest equalized win over 20 consecutive spins with minimum €0.50 bets on Koi Princess between 12:00 – 14:00 CET to race into the TOP10 to win bonus prizes ranging from €25 – €175 , credited by 16:00 CET on Friday with a 10x wagering requirement within seven days. Saturday, 13th January 2018: Mobile Bonanza – Wager €150 on any mobile slot on Saturday and Sunday to receive for each day 50 Free Spins instantly plus 20 BIG Spins worth €1.00, credited by 16:00 CET on Monday and Tuesday. All spins are for Gonzo’s Quest. Wagering requirement is 35x Free Spin winnings within three days.